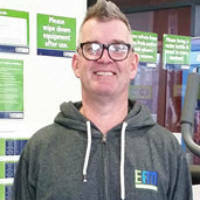 Welcome to EFM Health Clubs Windsor in Riverside! The beauty about your fitness program with EFM is that We refuse to lock our members into 12 month contracts. Month by month memberships ensure you’re going to receive a personally tailored program, that you enjoy, where you feel comfortable exercising with like-minded people and that works for you. How does the program work for you? Well, our philosophy is simple. No two members are the same and your goals differ from the person working out beside you. So we provide you with Fitness Coaching every session. Your Fitness Coach will set your machines for you, give you a goal to work towards, and monitor you through your program so that you achieve those goals. We look forward to coaching you toward a fitter, leaner and healthier life!